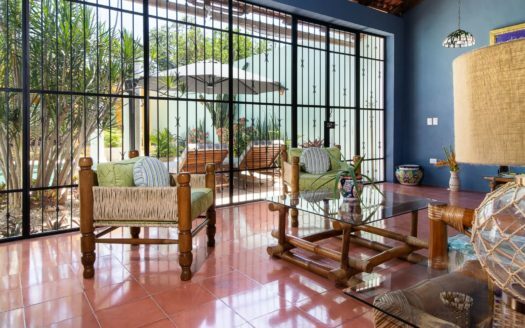 Lovely Casa Esperanza is just the vacation or long term rental you have been hoping to find in Merida! 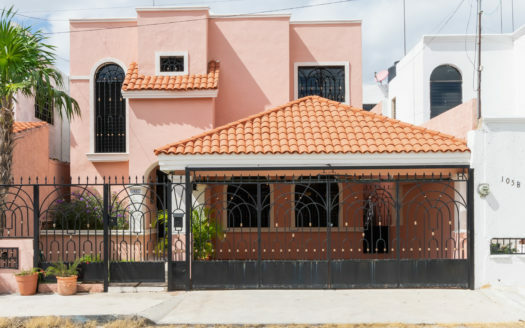 Located on a quiet street in Santiago, the home is near other remodeled homes yet definitely a part of a typical Centro residential neighborhood. Two bedrooms/two and half baths with both full en suites. The guest bath is well located downstairs with access from either the pool/patio area or from the open-concept living/dining/kitchen areas. Recently upgraded and remodeled with all high quality materials, this is a great rental find. The photos tell the story: this is a very comfortable and stylish home. Available to rent by the week but can also be long term rental as well. What a great opportunity for a couple or small family. Sleeps 4. Ask about discounts for longer terms. Open concept living/dining/kitchen areas are all air conditioned. Comfortable living room. Part of open concept downstairs living/dining/kitchen areas. Lots of good storage is rare in a Mexican kitchen but here you see how it can be done! 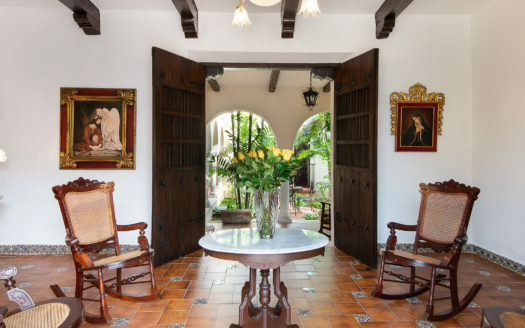 The home is bright and airy...comfortable tropical living. Beautiful dining table seats 6. Beautiful handmade talavera tiles brighten the kitchen island. 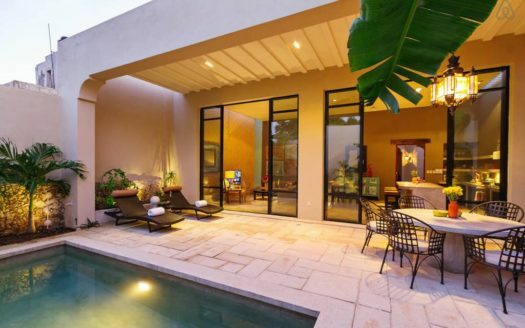 Mexican tiles, stainless appliances and granite combine for a modern look with all the warmth of Mexico! Breakfast bar at kitchen island. Touches of Talavera tiles are used in the kitchen and bathrooms. Also notice the detail on the stairs as well. Pool and patio are small but large enough for enjoying the outdoors and cooling off in the pool under your own waterfall. Master bedroom with king size bed has large walk out balcony. Master bath has double sinks and touches of talavera tiles. Guest bedroom has two double beds with en suite bath and walk in closet.